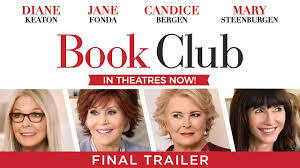 Plot Summary: Diane is recently widowed after 40 years of marriage. Vivian enjoys her men with no strings attached. Sharon is still working through her decades-old divorce, and Carol’s marriage is in a slump after 35 years. The lives of these four life-long friends are tuned upside down after reading the infamous “50 Shades of Grey”, catapulting them into a series of outrageous life choices.